Appearance: Pours a beatifully clear reddish/dark amber hue, with a copper piping brightness when held up to the light. The beer pours a solid 2-3 finger thick cream colored head. The head provides spotty lacing on the glass that sticks around for quite some time. Aroma: A lot of pine/skunky cannabis notes on the first scent. A lot of piney resin on the nose, with muffled citrus notes. Taste/Mouthfeel: A moderate amount of carbonation on this one, and a medium body that leaves a generous, lingering mouth coating. This is total resin galore! A ton of pine and resin on the front of the tasting, followed by more pronounced citrus notes (orange peel mainly) in the middle, followed by a sweet malt finish. A nice bitterness up front, but not at all overpowering due to the welcomed balance of the sweet malt characters. A beautiful breadiness in the finish, reminiscent of biscuit/biscuit dough. Overall: 9/10 Definitely a bitter beer, but not nearly as bitter as one would think drinking a beer that touts "93ish" IBU's. What really quells the bitterness is the focus of the malt in this brew, and it's also what impressed me the most. You still get the pine and resin of the nugget, warrior and tomahawk hops up front, but the malt characters quell it enough for you to fully appreciate the complexity of these hop varieties. I would suggest this one for hop heads, as well as those that enjoy a delicious sweet malt character in their beer. Although the beer is bitter, the malt balance will leave those of you that are into a more balanced beer scratching your heads with this one. Personally, I remember this being far more bitter last year, and I was expecting a slightly more bitter offering. 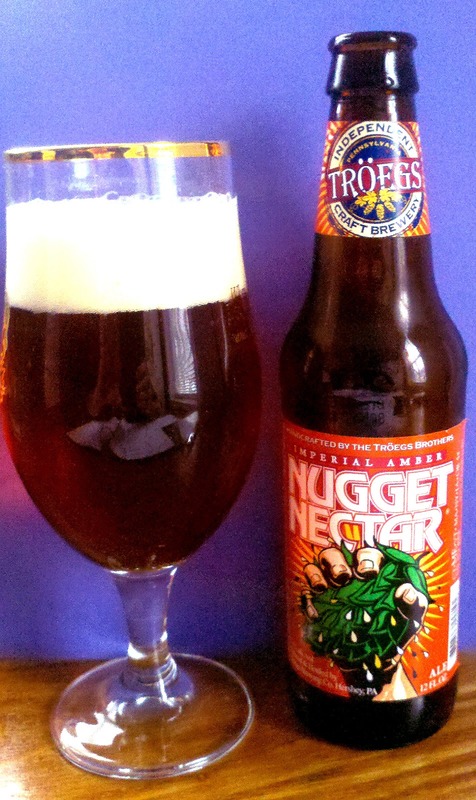 However, Troeg's has once again offered us all another balanced, beautifully crafted ale! Cheers!